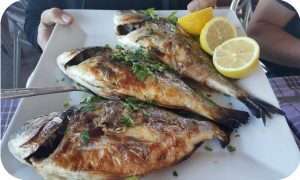 The Restaurants and Taverns in Latchi are famous in Cyprus for its fish selection and quality. Fish, like anywhere in the world, is not cheap but many restaurants have special offers on fish platters which are great value. Standards do vary between tavernas so this page aims to educate you on where to go for the best fish in town…or any other meal should you not like fish.